This wasn’t the easiest project I’ve ever undertaken in the kitchen. Well, it was easy in the sense that the recipe was simple and didn’t take too long to put together, but the planning wasn’t the simplest. In this particular instance it turned out to be a good thing that I waste countless hours reading other people’s food blogs. As in, I subscribe to the rss (I have roughly 30-40 blogs and counting in that particular Pipes Output) and then work my way through the entire backlog of entries. I don’t really do that much anymore…it was easier to do before I had my OWN blog to update. Yesterday was my mom’s birthday and I wanted to make her a birthday cake. The planning was tough in that my mom can’t eat a lot of things. In the past few years she’s developed intolerances/allergies to lots of wonderful foods (and I have let her know that if I ever develop those same problems, I will kill myself…most likely by consuming those foods anyway). Wheat and sugar were right out, as was honey. Think, think, think…hey, I have a giant bag of almond meal in my freezer (for macarons). She can eat almonds! But what can I make with almond meal? Though it would have been adorable to construct a birthday cake out of macarons (I am so doing that sometime…maybe for my own birthday) they do undeniably contain a large amount of sugar (even if you sandwich them with sugar free jam). In a rare moment of brain-workingness, I remembered that Alejandra had some wonderful-sounding low-carb cake recipes on her blog, specifically containing nut flours in place of the regular wheat flour. 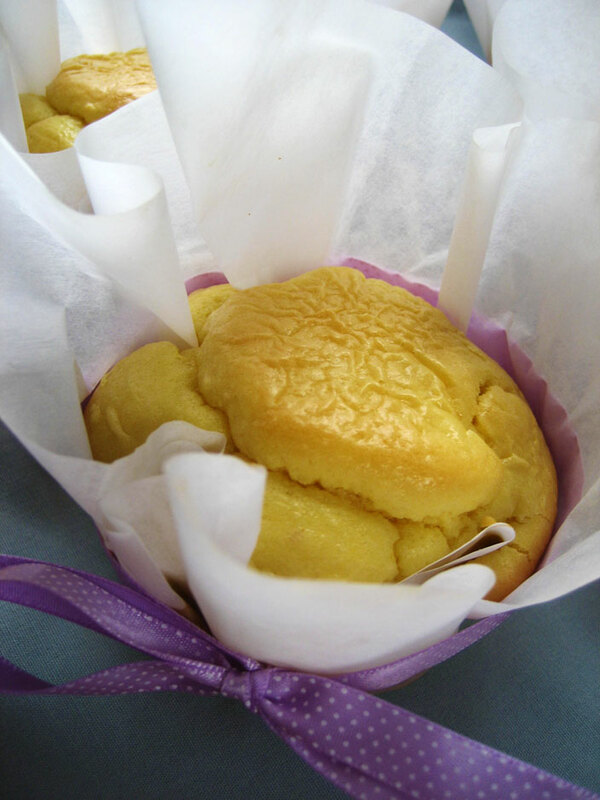 And one of those recipes just happened to be for a Meyer lemon cake…guess what I have in a bag in the fridge! I had to make a couple extra adjustments to the original recipe. First, my dad can’t eat coconut, so I replaced the coconut flour with some rice flour that had been hanging out in the cupboard for months. The coconut taste was sacrificed but the flavor of almonds and lemons together is amazing enough. I also had to replace the sugar with Splenda, and of course I couldn’t make the sugary glaze to go with it. Also, you may have noticed that I made cupcakes. I just couldn’t resist, and I really wanted to make my own cupcake wrappers. They look almost as good as fresh, but those damn strawberries just did not want to thaw out. The cakes made the perfect little shortcakes! Dense and only slightly sweet with a fun lemony tang and a lovely, slightly-floral scent. 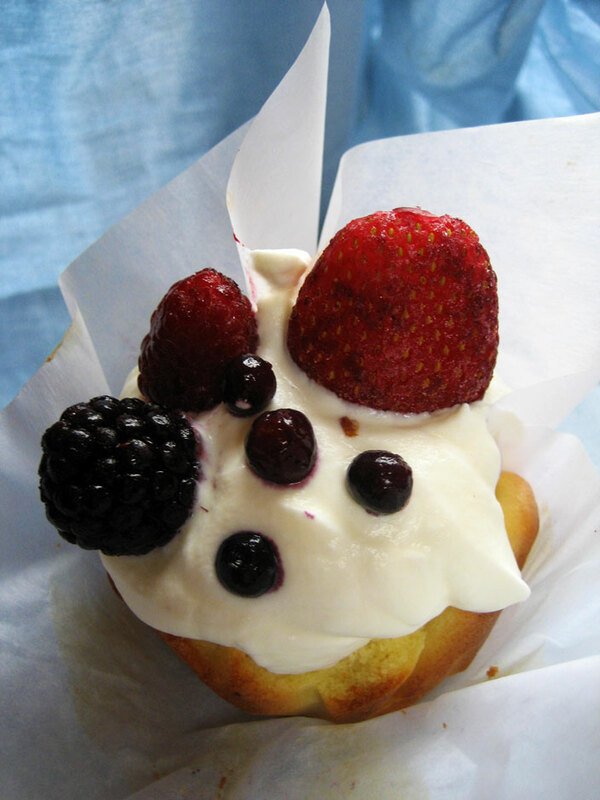 I would definitely make them again if I had fresh berries, though Meyer lemon season is not berry season. So sad. Ignore the snow outside - it looks like summer in here! Preheat the oven to 350. Sift all dry ingredients into the bowl of a stand mixer. Turn mixer on medium-high and add the eggs one at a time, then add the juice, zest and oil. Continue mixing for a couple of minutes to incorporate more air into the batter. Pour into cake pans or lined cupcake pans and bake for 20-30 minutes, until a toothpich inserted deeply into one of the cracks comes out clean. Allow to cool fully (and maybe rest a day to develop flavors) before adding whipped cream and berries. My mom absolutely loved these cakes – it had been a long time since she’d had any kind of cake! So sad! 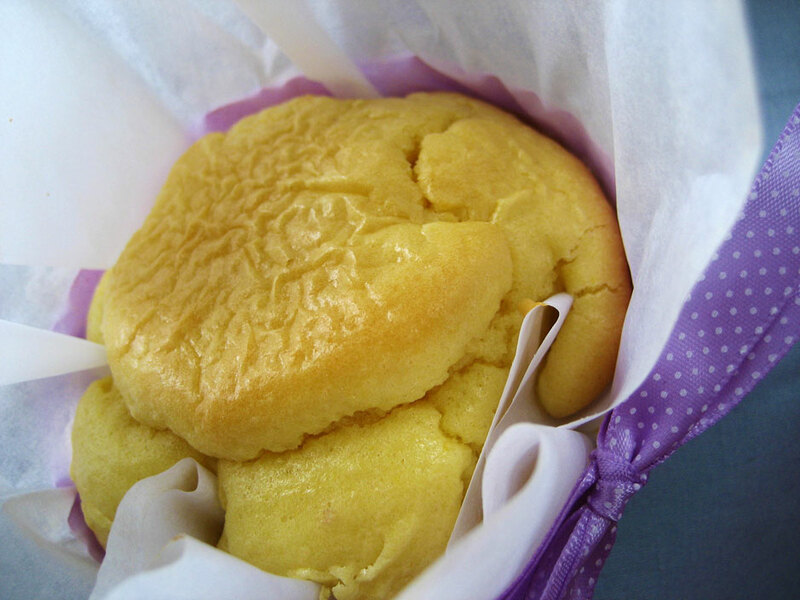 If you want to make your own cupcake papers, you can follow these directions. I left mine in squares and “shaped” them right in the muffin tin (you know they’ll fit perfectly that way). The bigger you make them the better it will work – mini-cupcakes or muffins come out really weirdly-shaped from the folds since they don’t have a lot of empty space in the middle. Wow, what a great daughter you are! 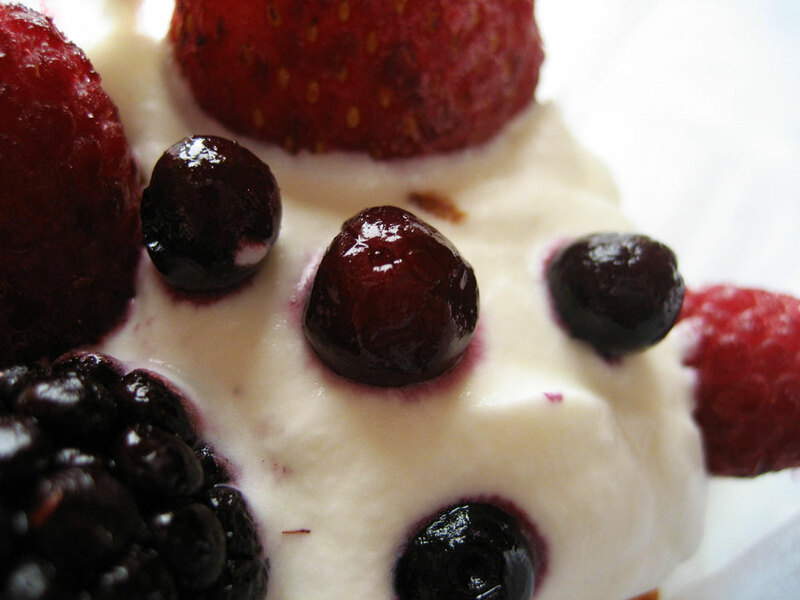 Those precious shortcakes topped with big, bodacious fresh berries would bring a smile to any Mom’s face. never used almond meal before. this sounds great! This sounds yummy with lemon and almond meal. Perfect for me too because they’re gluten free. I love the way you’ve made your own patty pans. It really gives you some freedom to choose the colours. Yum, that sounds good. Can I substitute equal amounts of regular sugar for the Splenda? Please do! If my mom wasn’t also sensitive to sugar I would have used it to begin with. These look fantastic! I love how you adapted my recipe. And that’s great that your mom was able to eat them. Meyer lemons are so fantastic to work with. Happy Birthday to your mom! !